Joyce Yang, 24, is critically acclaimed as “the most gifted young pianist of her generation” with a “million-volt stage presence.” And on Friday, March 11, she will perform at Orvis Auditorium on the University of Hawaii at Manoa campus. The performance is presented by the UHM Outreach College and the Hawaii Music Teachers Association. Yang captivates audiences around the globe with her stunning virtuosity combined with heartfelt lyricism and interpretive sensitivity. She has established herself as one of the leading artists of her generation through her innovative solo recitals and notable collaborations with the world`s top orchestras. In 2010 she was awarded an Avery Fisher Career Grant, one of the most prestigious prizes in classical music. Tickets for the UH performance range in price from $10 – 25, and are available at ETicketHawaii.com, by phone at 944-2697, or at any UH Ticket outlet; service fees apply. Call 956-8246 for more information or visit www.outreach.hawaii.edu/community. The concert is supported in part by the Hawaii State Foundation on Culture and the Arts. Yang will also appear at UH Hilo Performing Arts Center on Sunday, March 6, and at Kauai Community College Performing Arts Center on Sunday, March 13. 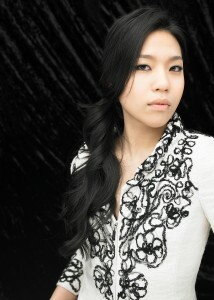 Born in Seoul, Korea, Yang received her first piano lesson at age four from her aunt. She quickly took to the instrument, which she received as a birthday present. Over the next few years, she won several national piano competitions in Korea. By age ten, she had entered the School of Music at the Korea National University of Arts, and subsequently made a number of concerto and recital appearances in Seoul and Daejon. In 1997, Yang moved to the United States to begin studies at the Pre-College division of the Juilliard School in New York with Dr. Yoheved Kaplinsky. During her first year at Juilliard, she won its Pre-College Division Concerto Competition, resulting in a performance of the Haydn Concerto in D major with the Juilliard Pre-College Chamber Orchestra. In April 1999, Yang was invited to perform at a benefit concert with the Juilliard Orchestra, conducted by Leonard Slatkin.Winning the Philadelphia Orchestra`s Greenfield Competition led to a performance of the Prokofiev Piano Concerto No. 3 with the Philadelphia Orchestra when she was just twelve. Yang came to international attention in June 2005 when she became the Silver Medalist of the 12th Van Cliburn International Competition. As the youngest contestant, she swept two additional awards as an all-around winner, receiving the Steven De Groote Memorial Award for Best Performance of Chamber Music with the Takacs Quartet, and the Beverley Taylor Smith Award for Best Performance of a New Work. In the summer of 2010, Yang made her San Francisco Symphony debut with Alondra de la Parra, returned to the Chicago Symphony under James Conlon at Ravinia and the Aspen Festival Orchestra led by Leonard Slatkin at the Aspen Music Festival. Other highlights of the 2010-2011 season include performances in the U.S., Australia, Malaysia, Hong Kong and Taiwan, and Tel Aviv. An avid chamber musician, she continues her longtime collaboration with the Takacs Quartet, and tours with violinist Stefan Jackiw and the Miro Quartet. In the 2009-2010 season Yang performed with the Los Angeles Philharmonic at the Hollywood Bowl and Walt Disney Hall, the Vancouver Symphony Orchestra, The Hague Symphony Orchestra in The Netherlands, the Lexington and Naples Philharmonics, and the Sarasota, Milwaukee, New Mexico, Syracuse, Signature, Tucson, Duluth-Superior, Elgin and Louisville Symphonies. In addition, Yang debuted in Budapest, Hungary, playing in the historic Bela Bartok Concert Hall with the Danubia Symphony. Her recital for the Frederic Chopin Society in Minneapolis has been featured on American Public Media`s nationally syndicated radio program Performance Today, where she is a frequent guest. Yang has been continually engaged by orchestras across the U.S. and abroad and has performed with the Chicago Symphony, National Symphony, Philadelphia Orchestra, Baltimore Symphony, BBC Philharmonic,Colorado Symphony, Houston Symphony, National Orchestra of Brazil, Estonian Symphony Orchestra, and Hong Kong Philharmonic. As a frequent recitalist, Yang has appeared in Chicago Symphony Hall, the Kennedy Center in Washington DC, Tonhalle in Zurich, and the Metropolitan Museum in New York City. She recently graduated from Juilliard with special honor, as the recipient of the 2010 Arthur Rubinstein Prize. Yang is featured in In the Heart of Music, the film documentary about the 2005 Van Cliburn International Piano Competition. Her debut disc, distributed by harmonia mundi usa, includes live performances of works by Bach, Liszt, Scarlatti, and the Australian composer Carl Vine. 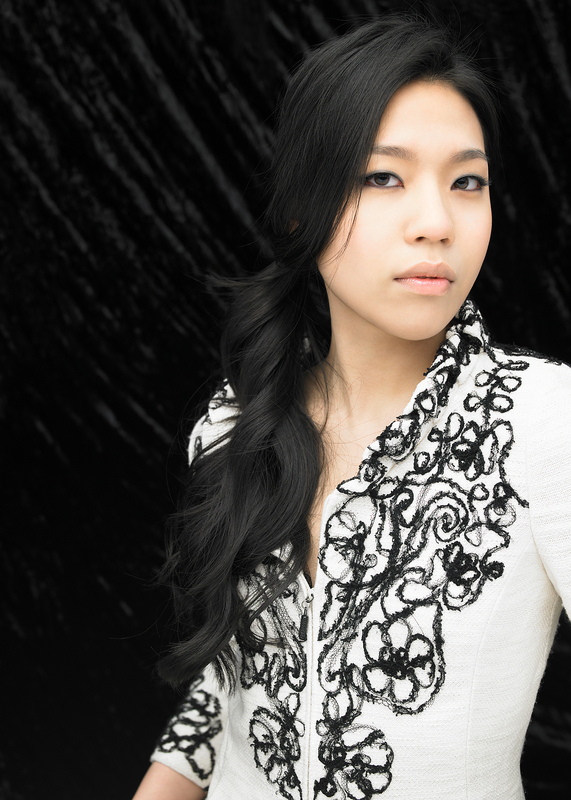 A Steinway Artist since 2008, she currently resides in New York City.